When the administration drives you mad! It’s the story of a France crumbling beneath the weight of official forms, suffering from a thousand regulations, laws and fantastical standards that paralyze initiative and corrode the lives of those who use it. A France in the grip of an all-powerful bureaucracy whose main victims are the French. Today, 40,000 standards rule our lives. Many are absurd and pointless. And yet we suffer them in our daily lives. And they cost us dear: around 600 million per year. Under fire are not just the laws, but, more importantly, the multitude of decrees, by-laws and circulars that accompany them. Teams from Zone Interdite spent a year following the battles of these subjects of administration against the aberrations of certain public services. They traveled France to meet those mangled by the administrative machine. We also inquired among the six million traders, craftsmen or independent workers who have been living through hell for the last eight years, following the creation of the RSI, the social regime for independent workers. They suffer the repeated dysfunctions of their Social Security system that sometimes demands astronomical sums. The result: dozens of businesses are forced into bankruptcy. However, some traders and craftsmen have decided to rebel. And yet the financial watchdog keeps a close eye on the workings of our institutions. 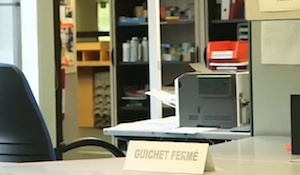 How do the inspectors from the Cour des Comptes go about their duties? What are their investigatory methods? A journey to the heart of bureaucratic France, the France of pointless commissions, ghost agencies and contradictory and costly regulations.